My Book of the Year 2016, now out in softcover. 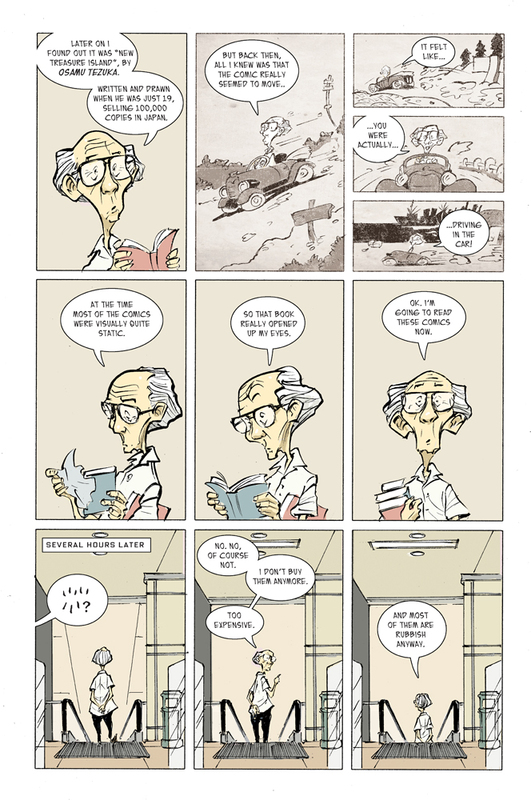 "In the beginning, there was Tezuka. They called him the God of manga." "As for me, I was born in the year of nothing. 1938. "But it was the year that The Beano first appeared in the UK...and Superman made his debut in the United States." I never knew that. Perhaps someone needs to organise a Dennis The Menace vs. Superman centennial crossover for 2038? I can just imagine the put-upon Clark Kent being best chums with Weedy Walter. It wouldn't be the weirdest match up, surely; I mean SUPERMAN VS. MUHAMMED ALI was pretty odd, though I would contend BJORN BORG VS. PLUG of The Bash Street Kids, with the toothsome teen thrashing the great tennis maestro, is probably more bizarre still. Singapore, the "Crown Jewel of the British Empire", is arguably the most successful former colonial territory, of any of the 'great' 19th and 20th Century European empires, in terms of its transition to independence. It's economic prosperity and increased living standards enjoyed by its citizens were the envy of all its Asian neighbours in the latter half of the 20th Century. Most of the plaudits for that progress can be laid at the feet of The People's Action Party which has formed the democratically elected and re-elected incumbent government since 1959, and its first Prime Minister Lee Kuan Yew, who actually held the position until 1990. That progress, guided by Lee who is regarded as the founding father of modern Singapore, from "third world to first world in a single generation", is clearly impressive. As ever, of course, along the way, there were certain dissenting voices who were, shall we say, removed as obstacles, by a combination of political chicanery, state abuse of power (particularly in the sphere of silencing dissenting journalists) and a disturbing use of extended internment without charge for radicals. It is probably testament to the relatively small scale and generally bloodless nature of these measures, that the vast majority of Singaporeans regard them as having been a necessary evil. 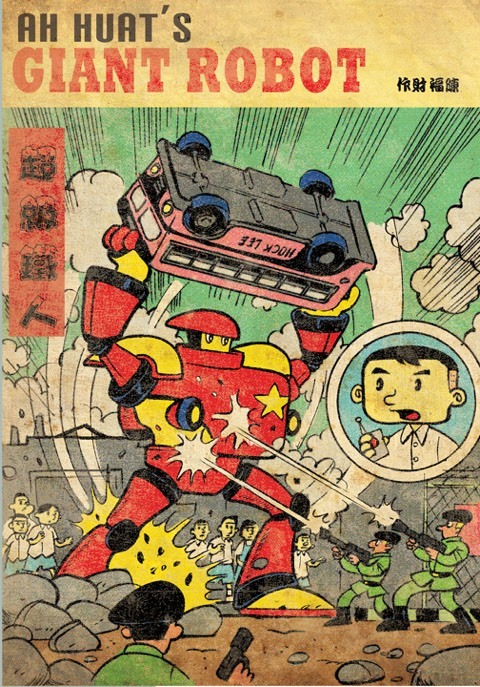 Sonny Liew has created a truly fascinating proxy to allow him to take us on the Singaporean independence journey, warts and all. That story in and of itself is immaculately laid out, very objectively, without shying away from any of the darker elements. 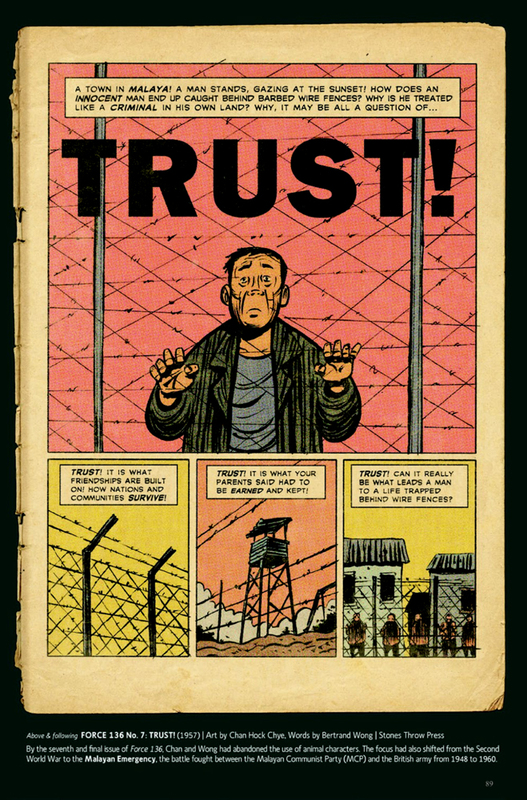 But it's the retrospective of the faux career of Charlie Chan Hock Chye, shown in snippets of chapters and sketches, à la mode of Seth's THE GREAT NORTHERN BROTHERHOOD OF CANADIAN CARTOONISTS, which elevates this to a work of genius. 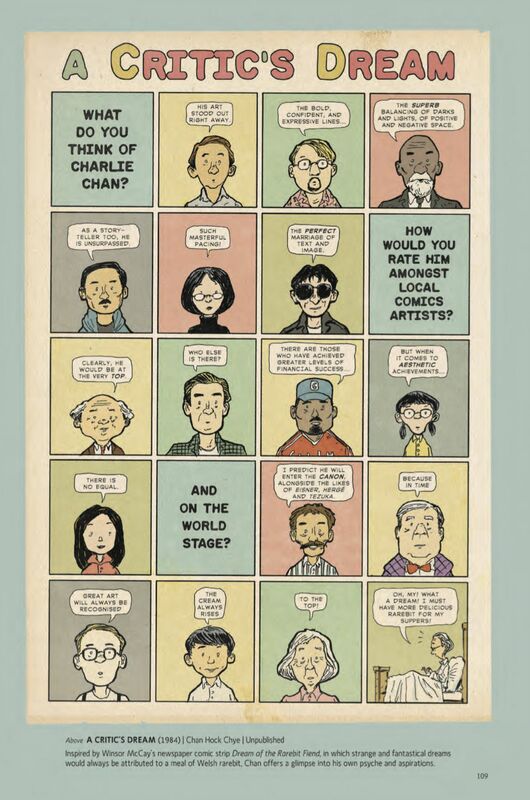 Because Charlie Chan Hock Chye was always a man who expressed himself through his comics, and was someone who had much to say. With the arm's length remove of anthropomorphic satirical gag strips or a speculative fiction premise about a fascistic future regime of hegemonistic alien overlords, his comics allowed him far more freedom of speech than the oppressed journalistic press itself enjoyed. 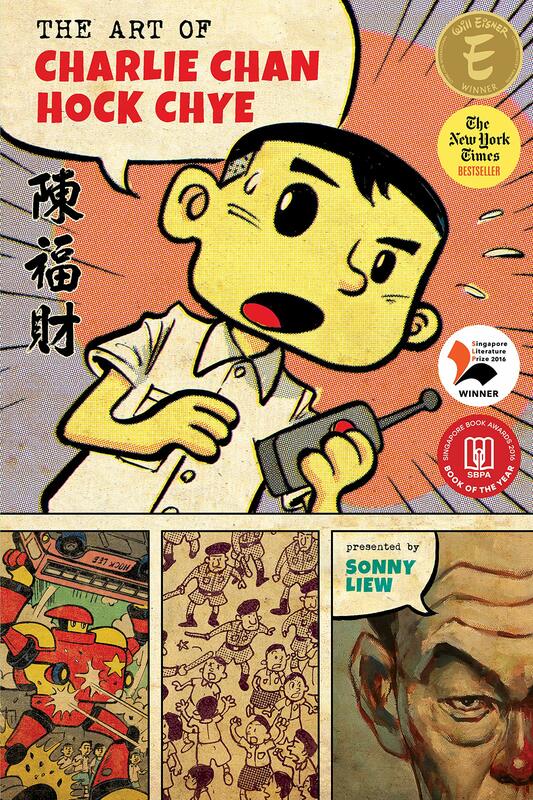 Thus Sonny Liew is very neatly able to provide a much more personal and subjective commentary on the never changing political landscape and various tumultuous events as they affected the typical man in the street. 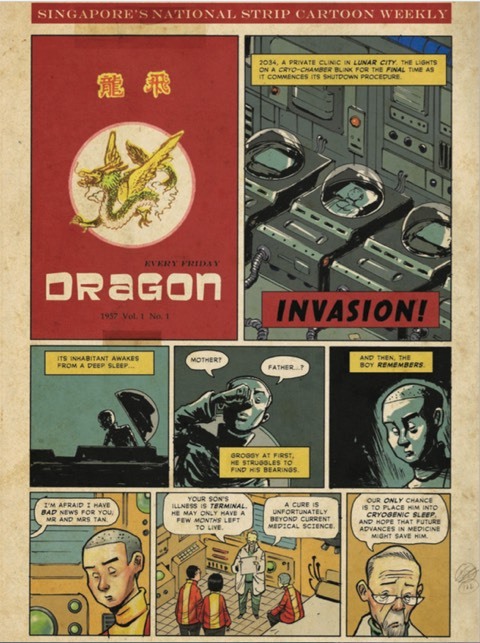 As with Seth's masterpiece, you'll be left wishing that some of Charlie Chan Hock Chye's works actually existed because you'll be wanting to read them in full! 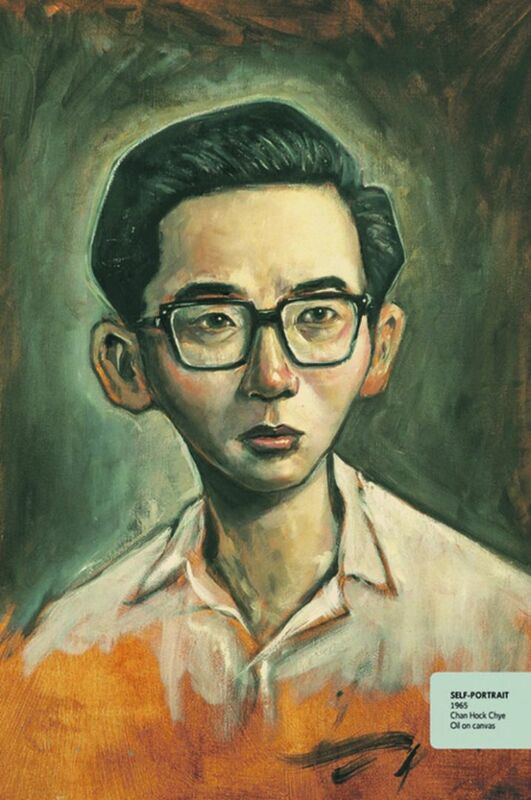 There is an additional comedic level revolving around Charlie Chan Hock Chye's entirely self-appointed status as "Singapore's greatest comics artist" and his complete lack of any substantial commercial success, including his attempts to crack America, which is almost certainly a bit of personal commentary on Sonny's part on working as a comics creator I would imagine, but which only serves to season our appreciation of this fake master even further. 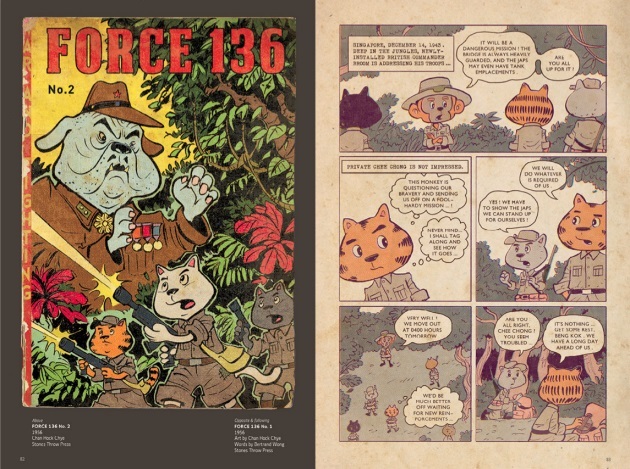 Sonny employs a truly enormous range of art styles throughout this work, which is undoubtedly his magnum opus, demonstrating the various creative twists and turns (and cul-de-sacs) a comics artist might take during such an extensive and varied career. Fake or not, he's had to draw them all! I seriously hope this work serves as a springboard to greater widespread recognition and rewards for Sonny though, because he truly deserves it. I can't imagine how he can top this creatively, mind you, but I'm fascinated to see how he'll try.